I first contacted, by mail, the Indian Affairs department of the Government of Canada and requested the name and address of an Indian who could make a totem pole. A reply came shortly afterward and I began communicating with Chief Charles H. Dudoward. He sent me three sketches of totem poles which I sent to Mable riffle through her daughter-in-law, Helen Riffle. 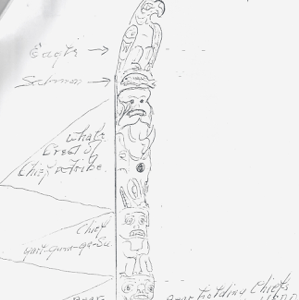 The sketches were returned and the totem pole sketch which the Board chose was the same one which I wished to see at Camp Chesterfield. I placed the order with Chief Charles H. Dudoward of the Thunderbird Totem Pole Shoppe in Port Simpson, British Columbia, Canada. 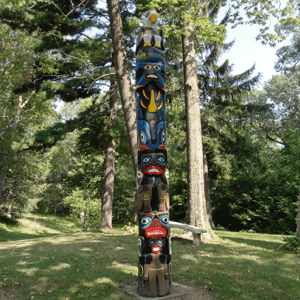 Upon a request from the Chief for a deposit and upon receiving the monies he proceeded to carve the totem pole. In late spring, I was informed the totem pole was completed and ready for packing and shipping. Shortly afterward, I received a request for $65.10 from Lindsay’s Cartage & Storage Limited in Prince Rupert, British Columbia for packing and shipping. It was sent out immediately and upon receipt of the monies, the totem pole was shipped and custom papers were sent to Helen Riffle. Helen Riffle received a request from the U.S. Customs for the necessary duties. The totem pole was cleared through U.S. Customs upon receipt of the monies and arrived at Camp Chesterfield shortly thereafter. Ladoit Riffle, Mable Riffle’s son, received a donation of one telephone pole from the Indiana Telephone Company and had it placed by same. 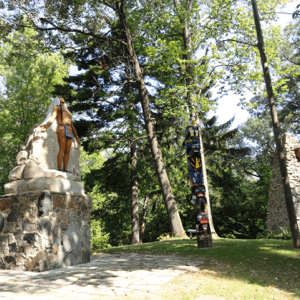 The totem pole was attached to the telephone pole just the day before Camp Opening in 1962. The Totem pole illustrates the legend of how Salmon came to the Rivers Inlet, British Columbia, Canada. Chief Garl Gum Ga Su had a little daughter named Yeda. Soon after Yeda learnt to talk, she told her Mother she was hungry for salmon. On being told no one knew what a salmon was, she commenced to cry and refused all foods. Fearing she would die, Chief Garl Gum Ga Su called his wise men and asked, what are salmon and where could they be obtained? None knew. 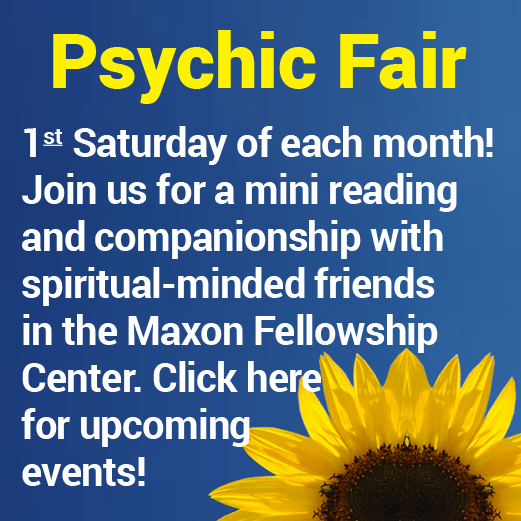 At that moment, the flying spiritual Eagle entered the council to announce “the salmon are fish people and I will find them.” The Eagle left and flew for days till he located the home of the salmon. Now, the salmon had a chief called Chief Meah Si La, whose little son was playing and jumping in the water. The Eagle watched and when no one was looking, seized the fish and flew off. Chief Meah Si La commanded his people to retrieve his son. They swam fast but could not overtake the Eagle. When Yeda saw the salmon, she ceased crying. In joy, the father held the first salmon feast.